Licensees of foreign federations Triathlon (ITU) are considered the F.F.TRI dismissed. and therefore are not subject to competition Pass. They must present their license and émarger the start sheet when bibs. Unlicensed triathlon must present a medical certificate to the sport in competition of less than a year, the day of withdrawal of numbers. – Before 04/15/2019, the registration fee will be refunded. – From 04/16/2019 to 06/15/2019, 50% of the rights will revert to the organization. 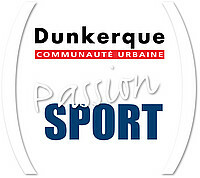 Share registration, contestants authorize the organizers and their beneficiaries such as, partners and media to use images or videos on which they may appear, taken during their participation in the tests organized Saturday 29th June 2019 and Sunday 30 June 2019 at Gravelines, in any medium including any projections during the day. In accordance with the Data Protection Act of 06 January 1978, competitors have the right to access and rectify their personal data. If they wish not to be brought to receive proposals from other companies or associations. It is their responsibility to inform the organizer in writing stating full name and address.